This whole home power inverter is great for your emergency battery backup for when the grid goes down with an unnoticeable transfer time of 10 milliseconds, or for use as a standalone off-grid system. Kill your power bill and save the earth with this inverter / charger. Use this inverter in your coach bus RV, large toy hauler or fifth wheel. 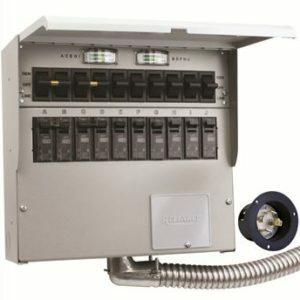 It will provide you with plenty of power for your mobile home, boat house or yacht. No sense in dealing with noisy diesel engines when you can have quiet, efficient and free power provided by the sun. This inverter charger has an on optional Remote Control LCD panel showing you of any abnormalities on all parts of the system, giving you ample time to fix the issue and exactly where to look. This inverter charger also comes with an Auto Generator Start mode that can tell a generator to start up and begin providing charge to the batteries (through a separate charger on 120v gensets) or providing power to the home. No matter where you are on the globe, you can use this inverter charger. It will accept power from any grid system, on 50 or 60hz. If you’re looking to keep the lights on and food fresh while the rest of the neighborhood is in the dark, look no further than the AIMS 6000 Watt Low Frequency Inverter. Prepare for the worst with the best. TEOTWAWKI Approved!